Last week's clues were The Beatleswith Back in the USSR, Billy Idol with Speed and Cold Water Flats with Magnetic North Pole. Shawn Briggs of Saint John, N.B., correctly guessed the headline we were looking for: Earth's Magnetic North Pole is moving towards Russia ... fast. Congratulations, Shawn! A Day 6 tote bag is on its way to you. 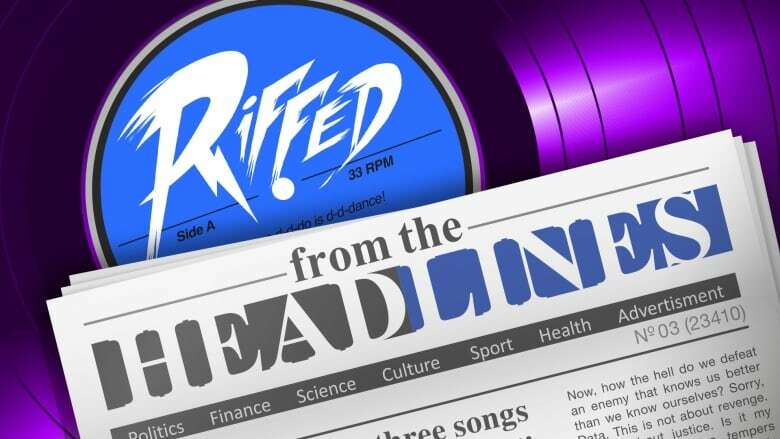 Make sure to include your email address and include "Riffed from the Headlines" in the subject line.